2019 sees the return of our popular Tiling Course. 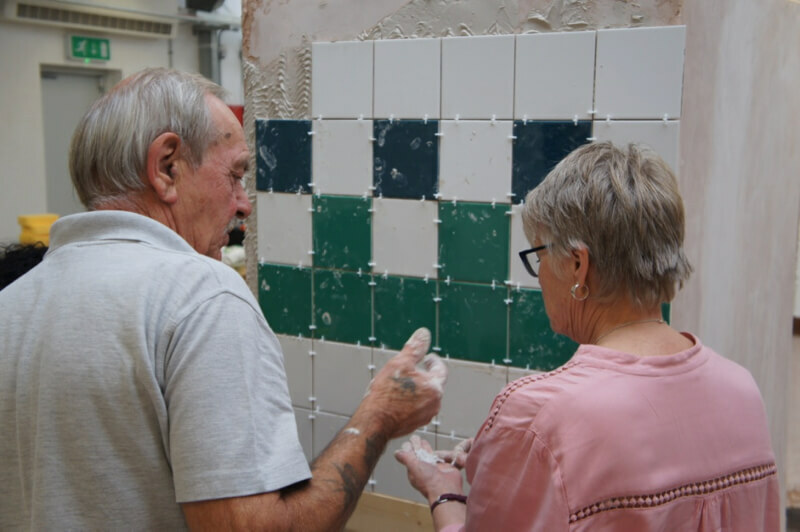 During the Tiling Course you will learn tiling skills over a 5 session course (over 5 weeks). This course starts on Tuesday 12th February 2019 and runs until Tuesday 12th March 2019. It starts at 6.00pm, finishing at 8.30pm. We will teach you about the different adhesives and tiles available and we will explain all of the tools used to complete a tiling installation. You will also learn floor and wall tiling and how to tile around windows and reveals, socketed areas and splash backs. Our courses are run for small groups of 6 per class. The remaining balance is due 28 days before the course commences – we will send an invoice which will allow you to make partial payments (minimum amount £30) to help spread the cost. If you cannot attend this course please note that new courses start monthly. If you cannot find a course date to suit, please register your interest for future courses.